Always giving our students the highest quality of instruction, the Charles Gracie Jiu-Jitsu Academy offers qualified instructors who have reached exceptional levels in the art of Gracie Jiu-Jitsu. We provide a safe environment that fosters mutual respect and empowers students of all ages to achieve their fullest potential and lead an improved quality of life. 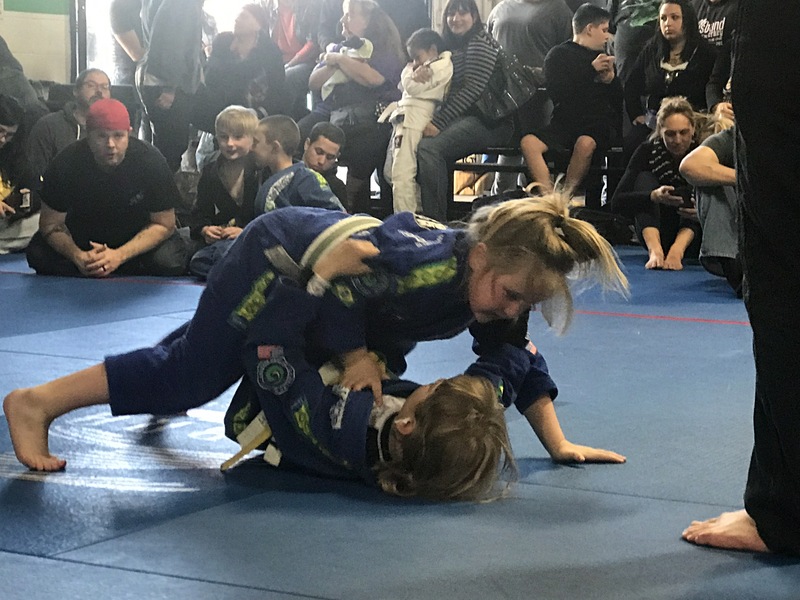 Our focus is to empower anyone regardless of age, gender, or athletic ability using the time-tested techniques of Gracie Jiu-Jitsu. The Charles Gracie academy stands alone in our ability to give our students the perfect balance of sport jiu-jitsu and self-defense training. We strive to teach all of our students the techniques and confidence they need to effectively and safely defend themselves when necessary! Why Choose Charles Gracie Jiu-Jitsu? 1. Self Defense We live in a world that is, unfortunately, riddled with violence and crime, so it is imperative to be able to defend yourself and your loved ones should you find yourselves in a dangerous situation. Jiu-Jitsu training provides students with unrivaled self-defense techniques that have proven to be effective time and time again. Self-defense techniques acquired through Jiu-Jitsu training teaches students the most effective methods to neutralize an opponent, while simultaneously minimizing any harm or damage that may occur. Jiu-Jitsu teaches techniques that do not require a tremendous amount of energy, with the goal of tiring your opponent to the point of disadvantage. The lessons and techniques learned through Jiu-Jitsu are priceless and can ultimately save your life. 2. Exercise Jiu-Jitsu training involves a tremendous amount of movement within a brief amount of time. Conditioning drills increase your cardiovascular fitness, while grappling incorporates your body’s largest muscle systems. For example, maneuvering your opponent requires leg strength, abdominal strength and muscular endurance. In a Jiu-Jitsu match, the first person who suffers fatigue finds himself or herself at a disadvantage. After your first few months of training, you will find yourself in the best shape of your life. You will have greater endurance, focus, reduced stress and better sleeping habits thanks to the conditioning you receive at the Charles Gracie Jiu-Jitsu Academy. 3. Real Live Sparring Sparring at the Charles Gracie Jiu-Jitsu Academy offers realistic experiences within a safe environment. While sparring is considered dangerous in other sports, such as boxing, it is taught and executed much more mindfully in Jiu-Jitsu. One of the greatest safety measures in sparring in Jiu-Jitsu is the ability for either competitor to tap out at any time. This helps to avoid injury on the mat, and allows the opportunity for participants to regain focus and continue. The participants then resume sparring and attempt to gain the advantage yet again. With the ability to stop at any time, it is extremely difficult to get injured during sparring. You can focus on learning the moves at your own pace with help from knowledgeable sparring partners. At the Charles Gracie Jiu-Jitsu Academy, you can learn the moves without injury. 4. Community By choosing the Charles Gracie Jiu-Jitsu Academy, you are giving back to your community by supporting a locally-owned business. You will make new friends in your classes, and together, you will discover and enjoy a new hobby and lifestyle. As your relationships with your classmates develop and bonds are strengthened, your training will become more meaningful to the class as a whole, as support, encouragement and celebration of each other’s achievements become more personal. Those who practice at the Charles Gracie Jiu-Jitsu Academy are not just students, but rather they become a community, and a family. Don’t miss out on an incredible opportunity for personal growth and development, as well as the opportunity to become a member of a tight-knit, supportive community.